Vous êtes, chère Stacey Kent, une chanteuse de l?âme, un peintre des sentiments. Raconter une histoire, saisir une émotion, une humeur, l?exprimer au plus juste et la partager avec votre public, comme une confidence, voilà ce qui vous fait vibrer. I don’t come from a ?musical family,? but music was a very important part of my upbringing. My most powerful memories are of being a little kid, getting off the bus after school, running up to my room, closing my door, and putting on my music. That was everything to me. I had older siblings, so I was also listening to what they were listening to. 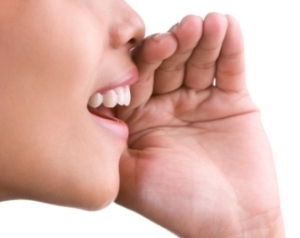 I made discoveries through my friends and my friends? siblings. Everything I could find I would listen to, and this led me from one record to another. Stacey’s insatiable and?judging by her own testimony?lifelong curiosity about music is only one of a number of factors contributing to her phenomenal oeuvre. But we can’t ignore the influence of her background in comparative literature and her mastery of several foreign languages (I can’t vouch for her Portuguese but her French is exquisite), both of which have aided her immensely in exploring and selecting repertoire. She also profits from a sage self-confidence that has opened the grandest of doors to her. And her humility is utterly disarming. 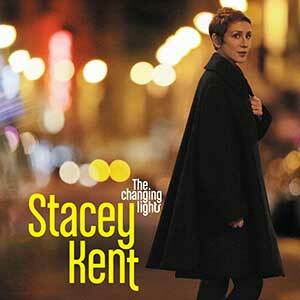 So following Stacey Kent’s incredible creative journey is a treat in itself. For even after it appears She’s hit the zenith of musical achievement, Stacey continues to evolve as an artist. In Changing Lights, beyond her interpretation of some standards she also performs songs that have been written just for her contemplative persona. But not by songwriters, by literary writers. Stacey’s literary background has enabled her to sit down with some of the finest writers today. They’ve been willing to not only let her interpret their previous work, but also to craft songs just for her. One notable writer, Japan’s Kazuo Ishiguro, is Stacey’s dear friend. He wrote ?The Summer We Crossed Europe in the Rain? and ?Waiter, oh Waiter,? as well as the title track. With such a background you might expect a fusty, rigid approach to her craft, and yet her work is anything but. One of the most important qualities of her recordings is their warmth; she somehow communicates a deep tenderness for the people whose stories She’s relaying. Yes, there is a note of melancholy in every song, but a delicious, redemptive, loving melancholy. Such a gentle jazz voice might be seen as a liability in an era when vein-busting rhythm-and-blues hollers seem to be almost a requirement of American Idol contestants. Her singing is soft, childlike, vulnerable, evocative, and deeply reverent. This automatically excludes her from the ranks of pop superstars, but It’s their loss. The album is very carefully constructed to balance between standards and original material, and the songs complement each other beautifully (following ?How Insensitive? with ?Smile? is one such stroke of genius). It is a soundtrack to lend elegance to your mundane hours, and It’s just as worthy of your rapt single-minded attention beside a rainy window over a demitasse. Stacey’s husband, Jim Tomlinson, generously delivers his sweet magic on the sax and flute on this album. Jim has taken a less than iconic position in her career but his contributions are indispensable to her sound. He contributes original songs and inspired, delightful arrangements and solos. And I’m guessing that the aesthetic expressed on Stacey’s albums is a product of this remarkable marriage. Not surprisingly, several of the covers come from Brazilian songwriters. Stacey has long been inspired by Brazil, a country that comprises Stacey’s poetic dreamscape; if a country could be called a muse, Brazil is Stacey?s. – ?How Insensitive.? Just listen. 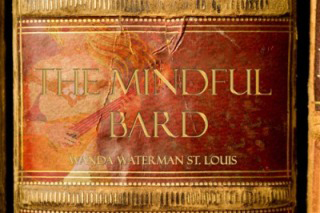 The Changing Lights manifests six of the Mindful Bard’s criteria for music well worth a listen. 6. It makes me appreciate that life is a complex and rare phenomena, making living a unique opportunity.